My sailboat took me on a long passage since I last wrote about that windy, January afternoon on Anna Maria Island ... a sea lover's delight! Hours spent by the seaside always excite and inspire my creative spirit. These days I'm carving out time to edit a devotional journal called SEA GLASS; and as always, new Soaring Hearts cards continue to find their way into my heart. In my next blog, I'll share the latest card from The Sea Glass Collection. I hope you'll love, "Believe." 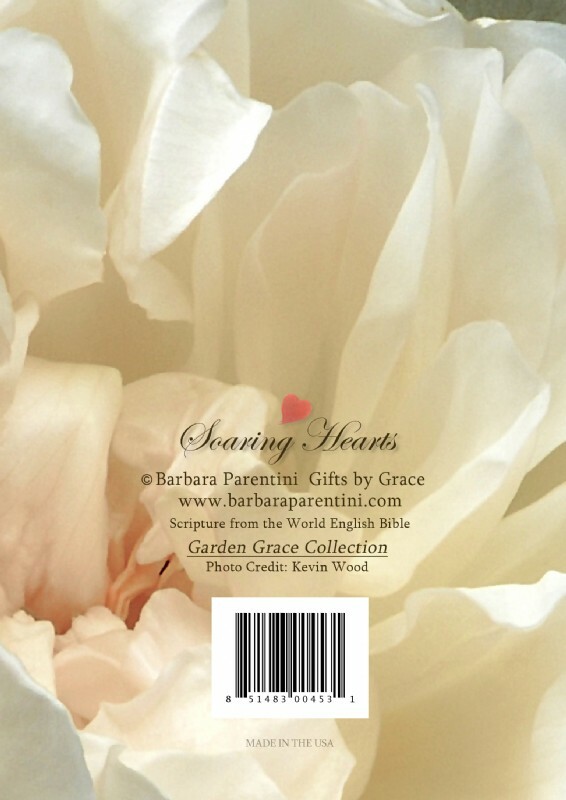 If it's inspiration from the garden you long for, browse the growing Garden Grace Collection by Soaring Hearts. It's no secret, flowers make me happy! If flowers delight you, too, join me for a walk through an English garden I've grown to love, tended by Master Gardener, Kevin Wood, in the UK. 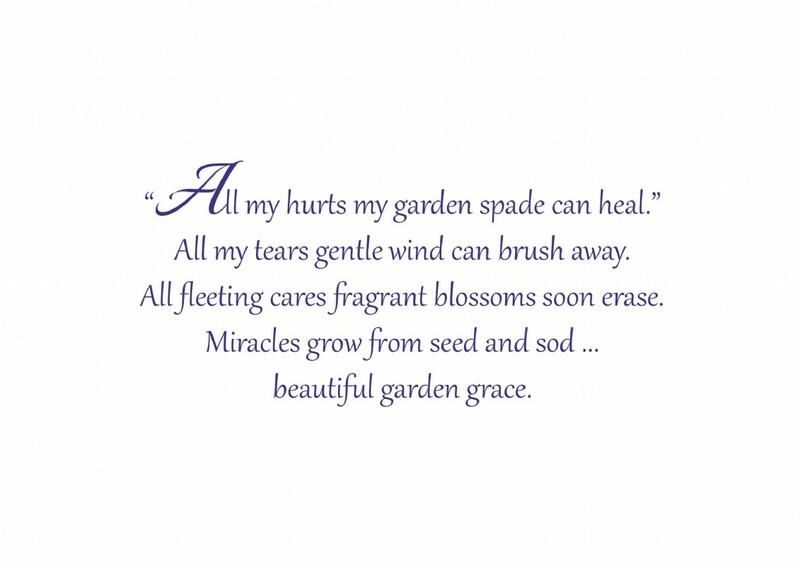 The profound beauty of his garden sometimes brings tears. This is the Birthday Blessings card designed with Jude the Obscure roses. . . I see gardens straight out of Downton Abbey! 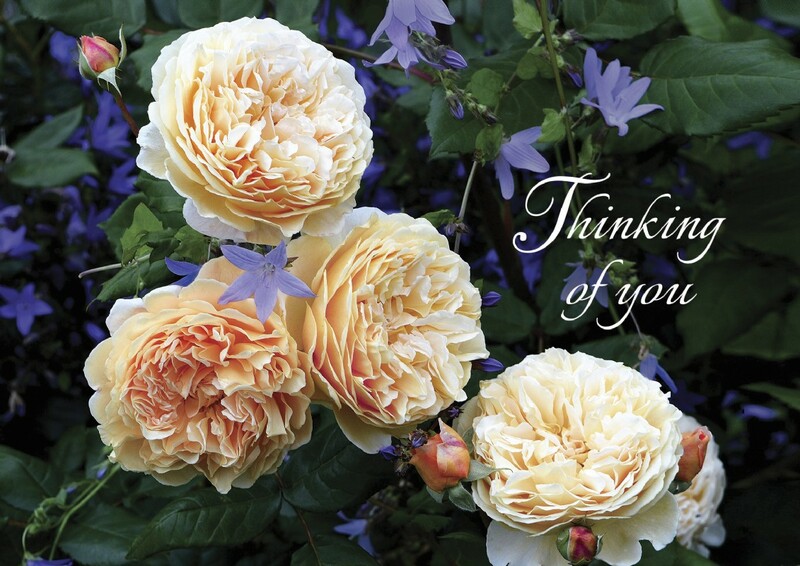 Thinking of You with Crown Princess Margareta roses ~ and prose from the garden!. . . This card was presented to the President of The Garden Club of North Carolina at the 91st Annual Convention in April. What a thrill! The first line is credited to Ralph Waldo Emerson. I saw it just weeks before my sweet dad passed away. The words wouldn't rest, and pleaded for more lines to encourage broken hearts. 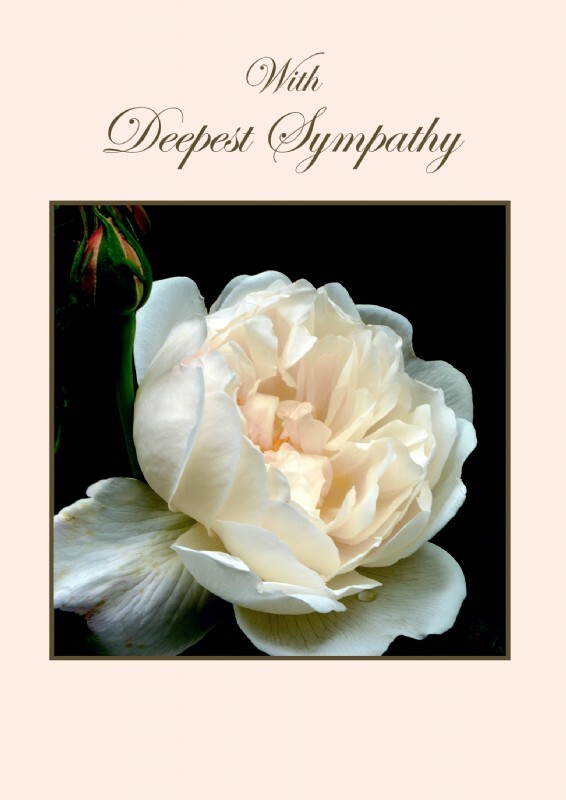 With Deepest Sympathy sends comfort to readers with a lovely Glamis Castle rose. . . 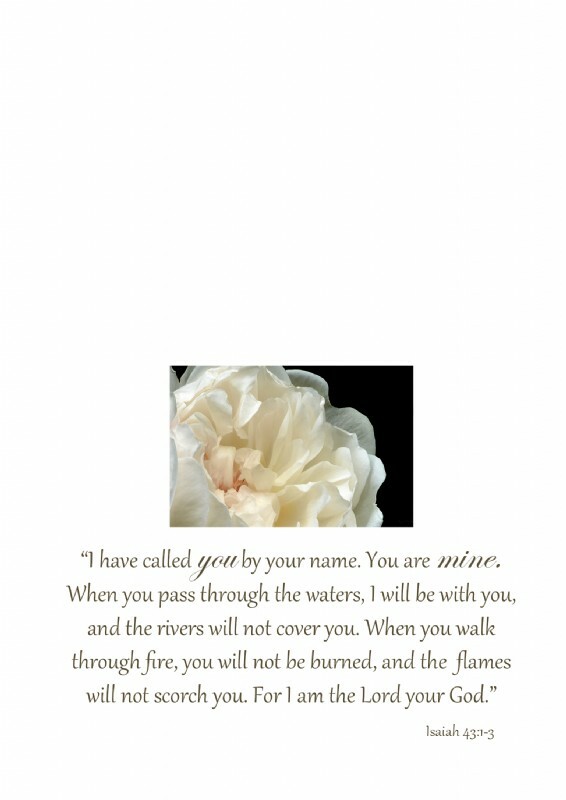 This passage from Isaiah is one of my favorites for God's promises and comforting presence. And last, the long-awaited "Sister of the Heart," so stunning in its multi-colored hydrangeas on shimmering paper. 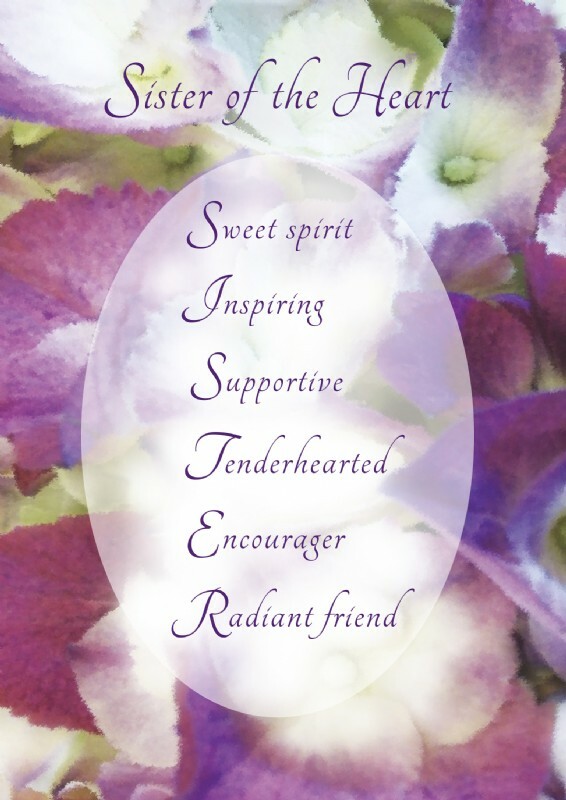 I wrote this acrostic many years ago, and couldn't be more delighted to see it created into a Soaring Hearts card. 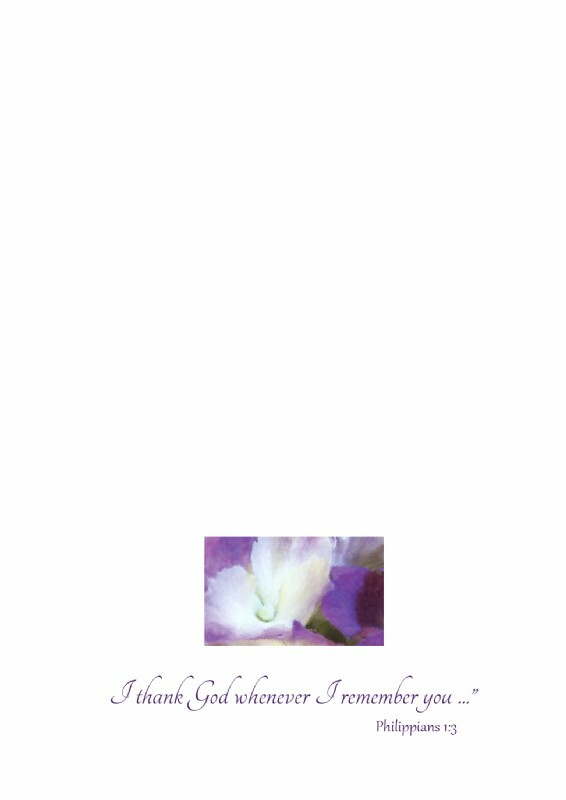 I'm grateful this card proved to be a big success with the ladies at the garden club event in April, as well as shopkeepers! 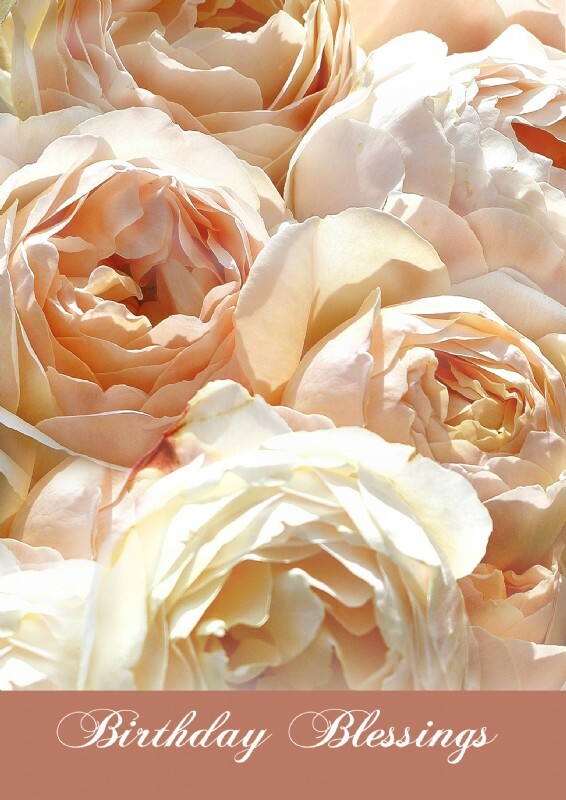 Can you imagine the sweet fragrance of all these flowers? Whether strolling along gentle surf or admiring exquisite flowers, my passion for the sea, and inspiration from gardens, keep me dreaming. What are you dreaming about this summer? I'd love to hear what inspires you. 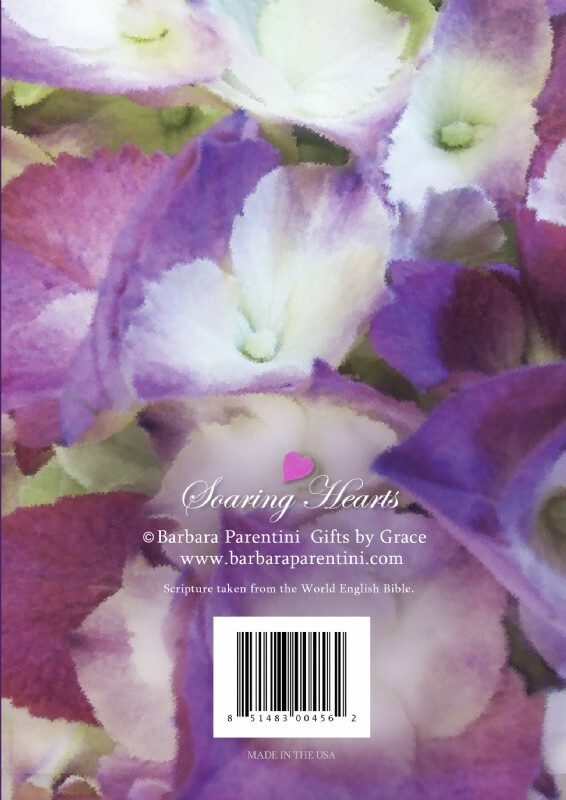 Also, I invite you to Like my Facebook page at: Author Barbara Parentini.